It’s boating season again in South Florida, and between small vessels and large cruise ships, the intercoastal waterways are filling up with Floridians and visitors looking to blow off steam and enjoy the beautiful weather. With the summer season quickly approaching, there will also be injuries. Some of the most serious injuries boaters and passengers experience are sustained in overboard accidents. To better understand your rights, call an experienced maritime injury lawyer today. How Do Overboard Injuries Happen? It depends on the type of vessel involved. There are basically two types of watercraft – small and large. 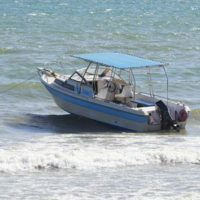 Small crafts (like fishing boats and other pleasure crafts) are typically operated by novices who may only have a couple hours of instruction or none at all. Passengers should all remain seated while a small vessel is in motion, especially at higher speeds. A quick turn or movement to avoid something in the path of the boat, can cause people to lose balance and fall overboard. Once a person is thrown from the boat, they can strike their head, be cut by propellers, or be struck by other passing boats, jet skis, or even follow-along pull-behind skiers and other recreational devices. The impact of hitting the water is rarely the sole injury. Drowning can also occur, especially if there is no life vest, drinking is involved, or the victim is not a strong swimmer. Yachts and cruise ships can also have overboard incidents. Passengers may lose balance on uneven stairs, walkways, or other unsteady surfaces. Poorly repaired platforms or broken rails and supports can give way, leading to deadly falls from balconies. Sometimes the victims are fortunate, and someone spots them falling. In other situations, however, a victim may fall overboard and no one spots them. It may not be discovered that a person went overboard for many hours. When this happens, the ship may have travelled a great distance. Tides and currents may have moved the victim, and the person can be lost at sea. After all, it can take a lot of time for a ship to circle back, perform a search, and locate a passenger thrown overboard. By then, a victim may have drowned or succumbed to ocean conditions. 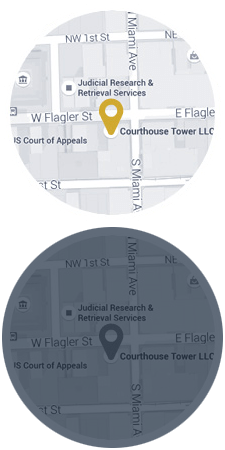 Whether an injury happens near shore in Florida’s boundary waters or on the high seas, the law firm of Michael F. Guilford, P.A. stands ready to fight to help injured victims and their families recover financial compensation for their losses. The laws can be very complex, as there are often interlocking and connected federal and state laws that apply to maritime accidents and injuries. Some victims may have multiple potential claims that can be brought. There are also strict time limits on recovering for your injuries. The longer you wait, the harder it can be to preserve evidence and succeed at recovering compensation. Call or check us out online to schedule a free consultation today. There’s no risk, and we don’t collect a fee unless we recover on your behalf.